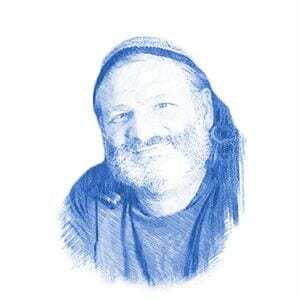 The Trump-King David Connection And How It Connects With Abraham’s Covenant - Breaking Israel News | Latest News. Biblical Perspective. An event held directly over King David’s burial site was the turning point in US President Donald Trump’s campaign and may be the key to understanding his come-from-behind victory as well as his role in the future of David’s city and the Messianic Era. The Republican campaign event that took place in Jerusalem in September 2016 was improbable for many reasons. The candidate was so far behind in the polls that some pundits said it would take a miracle for Trump to win. The organizers of the event chose an unlikely and inconvenient site intended to bring about just such a miracle: the Nevel David (harp of David) catering hall overlooking the Temple Mount. “It was logistically far more difficult to arrange an event in the Old City, but we wanted to connect with the heart of Jerusalem,” Mark Zell, chairman of Republicans Overseas Israel, told Breaking Israel News. Zell organized the event where he served as master-of-ceremonies. US Ambassador to Israel, David Friedman, who was an advisor to Trump at the time, spoke and referred to the site “established by King David 3,000 years ago” as “a holy venue.” He quoted King David in Psalms 128, which referenced the site. Pre-recorded speeches by Trump and his running mate, Mike Pence were viewed on a large screen. “This was the same week the United Nations Educational, Scientific and Cultural Organization (UNESCO) passed a resolution erasing any connection between the Jews and the Temple Mount. The remarks by all the speakers reflected this, focusing on Jerusalem and its importance to the Jews,” Zell said. Several hundred people attended and the event was a major success. Clips from the event were used for the remainder of the campaign. What Zell did not know when organizing the event was that the site he chose, although a small distance from the site known today as Kever David (the burial site of King David), was actually situated directly over the actual burial place of King David. Kever David, considered a holy site, is the entrance to a large complex of caves in which several kings and prophets were buried. Rabbi Berger emphasized that the connection with King David not only helped Trump win the election but it also established the path that lies ahead for the US president. Another powerful hint of the president’s role in the Messianic process appears in the presidential seal he was awarded the rights to in that election. Central in the presidential seal is the iconic Bald Eagle. The rabbi explained that an eagle (ayit [עיט]) figures prominently in end-of-days prophecy. “When Abraham performed the Covenant of the Pieces described in the fifteenth chapter of Genesis, an ayit (usually translated as a ‘bird of prey’) appeared,” Rabbi Berger said. “Trump, under the sign of the ayit, opened the way for the other nations, who are now coming to Jerusalem and opening their embassies in preparation for the Messiah,” Rabbi Berger said.